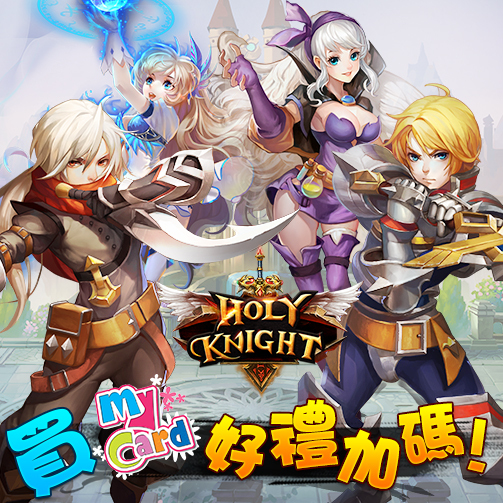 Dear players, Holy Knight cooperates with Mycard and bring a topup event for you! From DEC 9th 12:00- DEC 22nd 12:00, top up via Mycard to get gifts! Holy Knight Release Nailed Down! 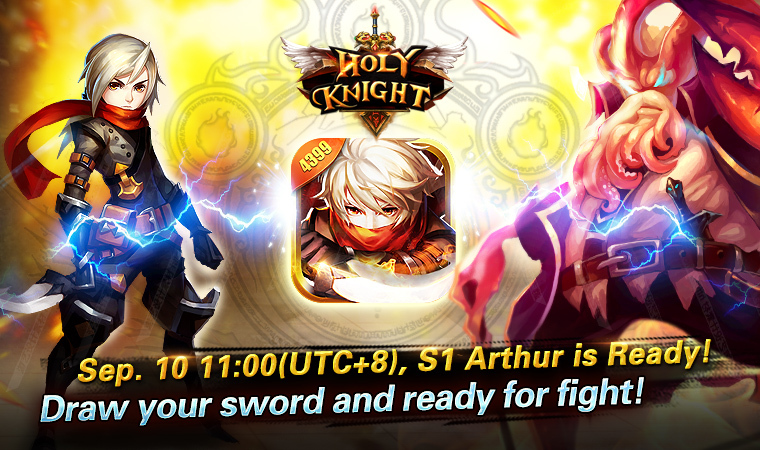 Server 1 "Arthur" of Holy Knight will open at 11:00 (UTC+8) on September 10. Multiple exciting events are waiting for you in new server, a wonderful journey is about to start! Published by 4399EN, Holy Knight has already launched in Hong Kong, China, Taiwan, Korea and other countries. This side-scrolling game has stood out for its stunning graphics, smooth controls and innovative gameplay. ※Flexible combos: Up to 7 active skills at your service. Create yourunique combos! ※Friends and foes: Hand for friends, sword for foes! Help friends inteam dungeons and guild war. Meanwhile revenge can be taken on your foes in PVPand looting events! 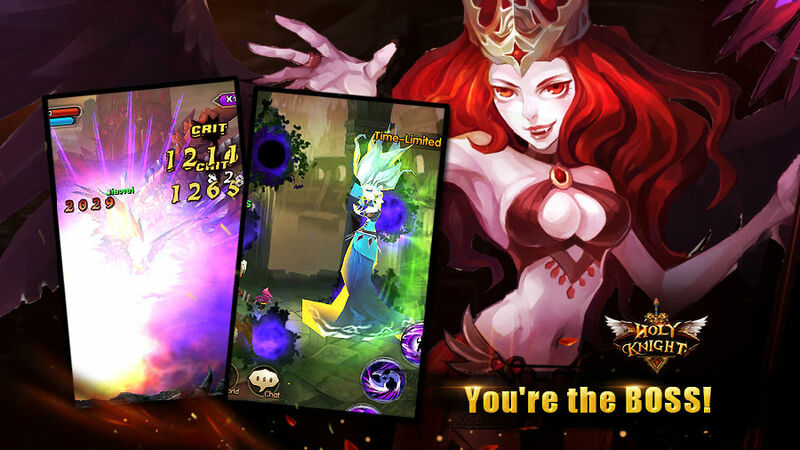 ※Transform into Boss: Transform into bosses and wield their powers! ※Exciting PVE Dungeons: Embark on the adventure and reconquer theland from evil monsters! ※Real-time PVP Arena: Duel makes a stronger knight. Fight anddominate the Arena! Content: Free Pink Gems for top up incertain amount for the first time! Take your chance! Special effect on your weapon! Only for 1sttop-up in any amount! Giftpack: Special Weapon Effect*1; Lv.20Equipment Piece*10; Lv.3 ATK Rune Pack*1; Pray Rune*5; 50K Gold. Top up 100 Blue Gems and get valuablegifts: Refresh Order; Danmaku Horn; 9 Roses. Content: Gift Boxes will drop in normal stagesduring event. There’s chances to get Fashion Piece in Gift Box! A guild is a harbor for knights. Call yourfriends and join a guild, rich rewards are waiting for you! Become a member of a Lv.4 Guild within 3days in new server, Pink Gem Gift is yours! Special gift for Guild Master. Feel exciting? Let's rush to the new server and enjoy the events! 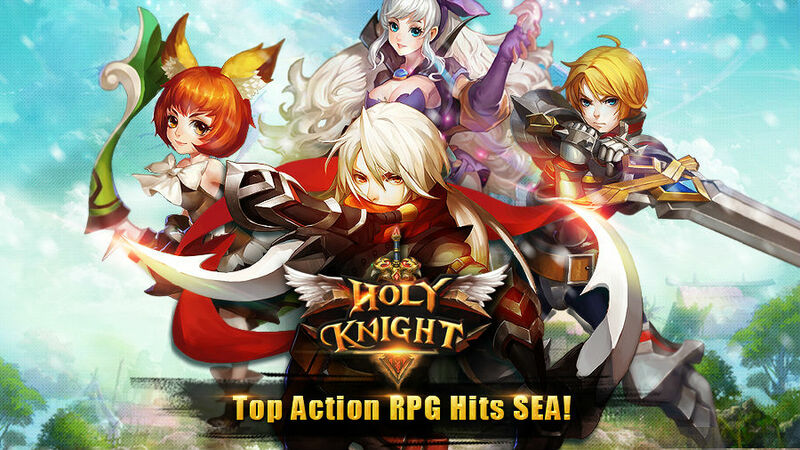 Classic style action RPG in Asia - Holy Knight, will be soon available for players in Southeast Asia! Being developedby 4399, this game has been launched in China, Korea, Taiwan, Hong Kong andmany other countries and have got millions of players. Vampires arise and shed blood over theland. Holy Knight is summoned by King Arthur. Warrior, Mage, Assassin – Knights fromthese three class will start their adventure and strive to be chosen as HolyKnight! Feel excited about the game? Let’s have a peekat the key features! 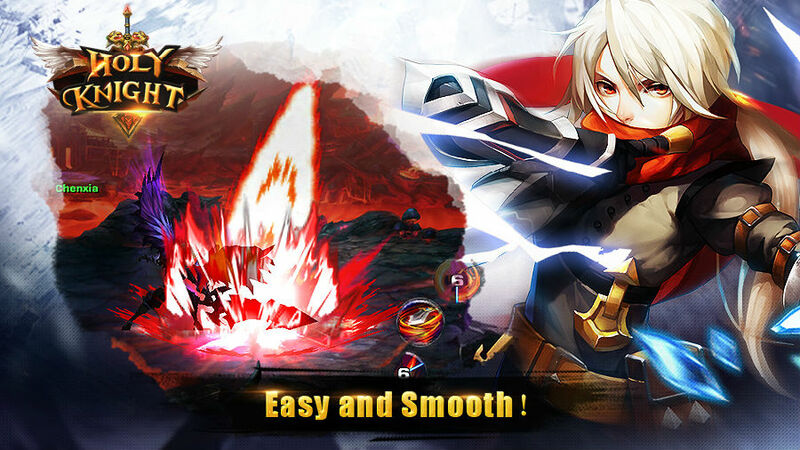 Holy Knight is particularly adapted forSoutheast Asia players in compatibility, therefore smooth operation andhigh-quality 3D effects could be enjoyed at the same time. 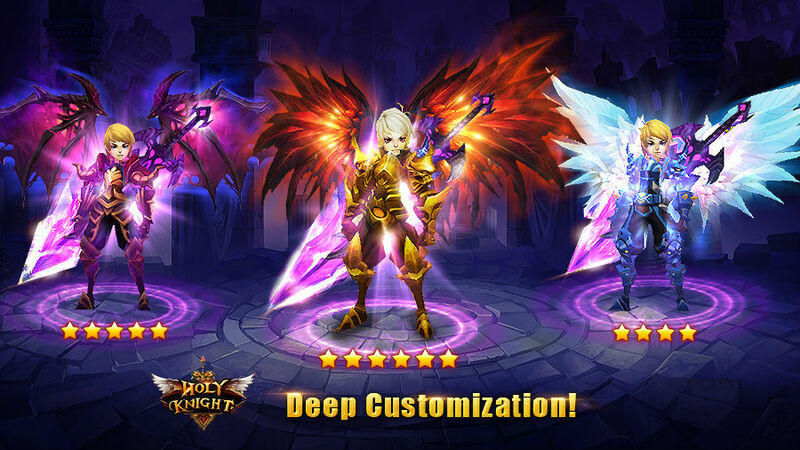 As a side-scrollingARPG, the vibrant 3D effect and exquisite design of characters will lead youdeep into the adventure to become a Holy Knight! Have you been curious about the feeling ofbeing a BOSS in game? In Holy Knight, the BOSS Transform gameplay could helpyou experience it! You can transform into BOSS, unleash BOSS skills and crashanything in your way! You are different! In Holy Knight, multiple fashion outfits and wings are at your service. Wearing fancy outfits and glamorous wings, you will distinguish yourself from anyone else. Draw your sword and come with us, you’llnever be disappointed in Holy Knight!